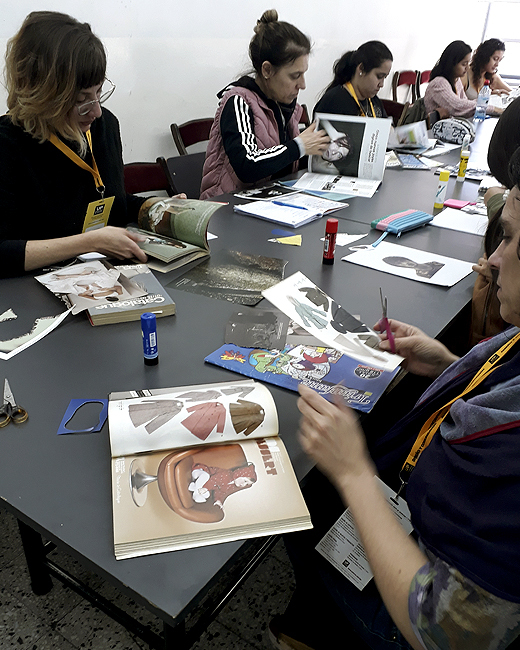 This year I had the pleasure of giving a collage workshop in the context of the Latin American Design Meeting at Palermo University. 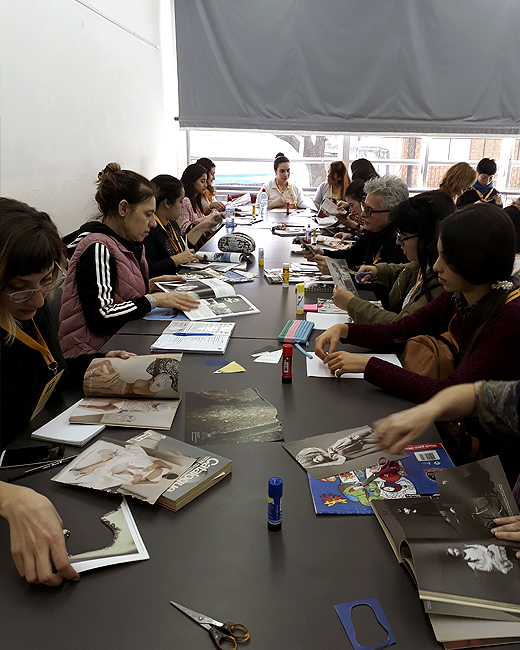 With 24 participants, for two and a half hours, we saw different collage artists and got down to work with two collage exercises. La inscripción y la reserva del cupo se fectiviza con el depósito del primer mes por adelantado. 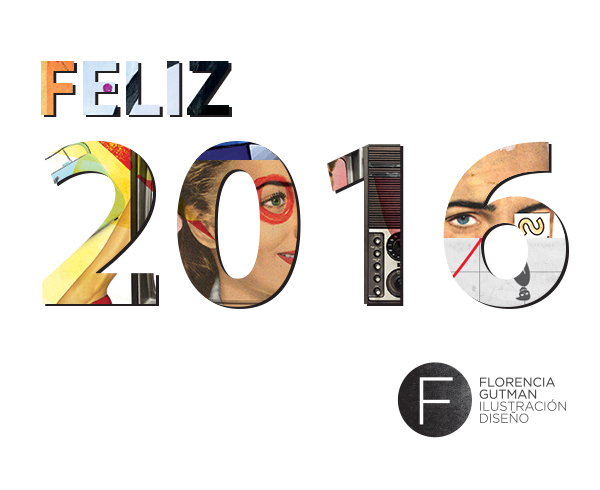 I was interviewd by Lucas López, expert in graphic design and visual culture, for gràffica.info. Coming soon the english version of the interview. An interview made by Clipix about my last exhibition in Casa Brandon. The exhibition is open till last day of February. 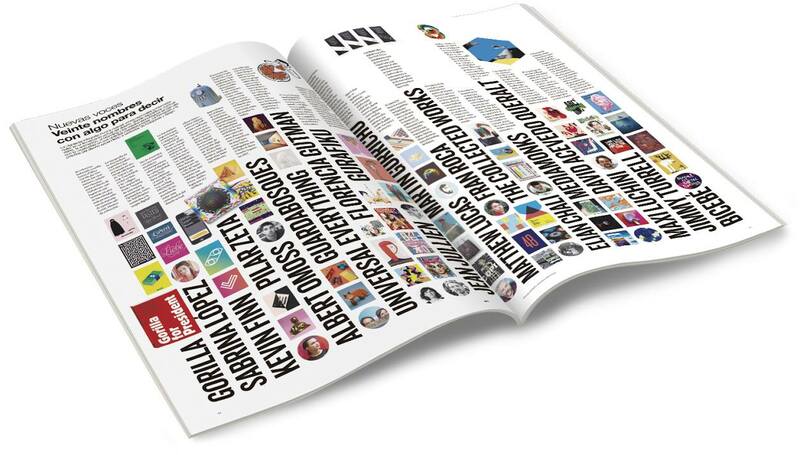 I am very happy that my work has been reviewed in DNI Design Magazine by Lucas López. 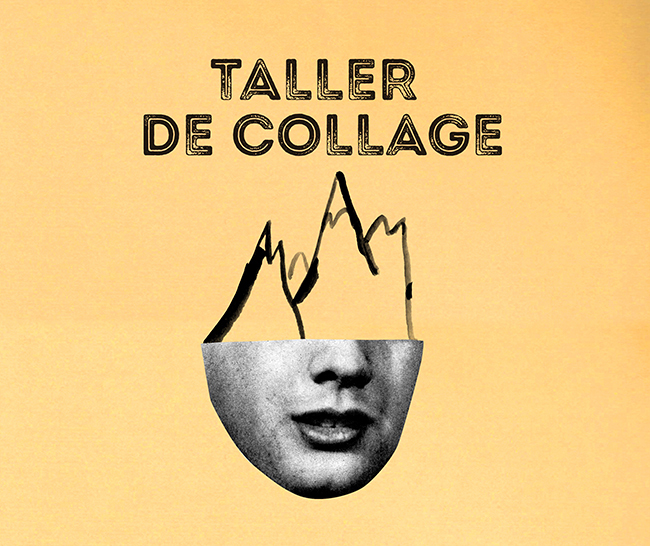 My collage exhibition opened last Wednesday (6th of December) in Casa Brandon Gallery. 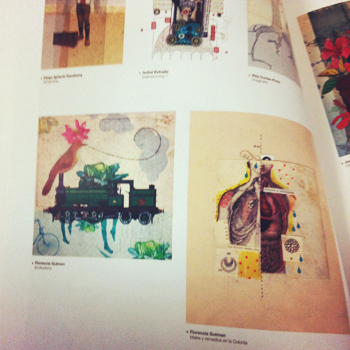 An anthology of artwork published in media and publishing industry and some personal work too. You can visit until 30th of December. I redesigned my logotype in order to put together my two occupations: writing & visuals. This is a kind of work I enjoy in doing it. 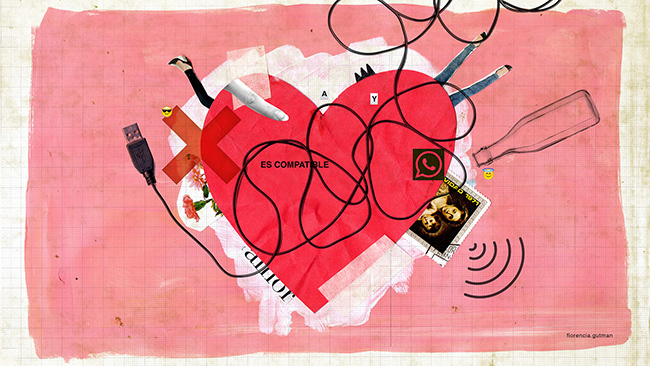 I did these collages for Las12 section of newspaper Página12, national newspaper in Argentina. The article was about some writers wishing bad things to their hated people. It is a humorous article. I used handmade collage and then work it on the computer. I also painted with acrylics. 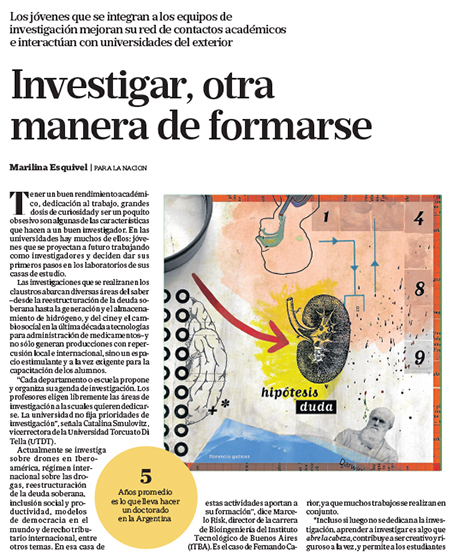 You can read the article in spanish in this link. 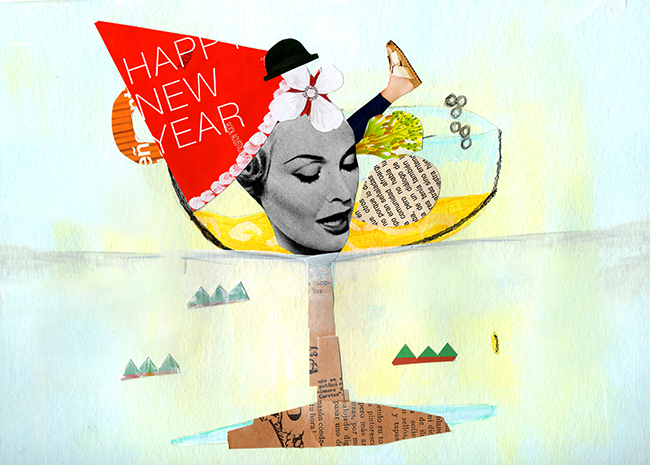 Wishing you all the best for this new year. 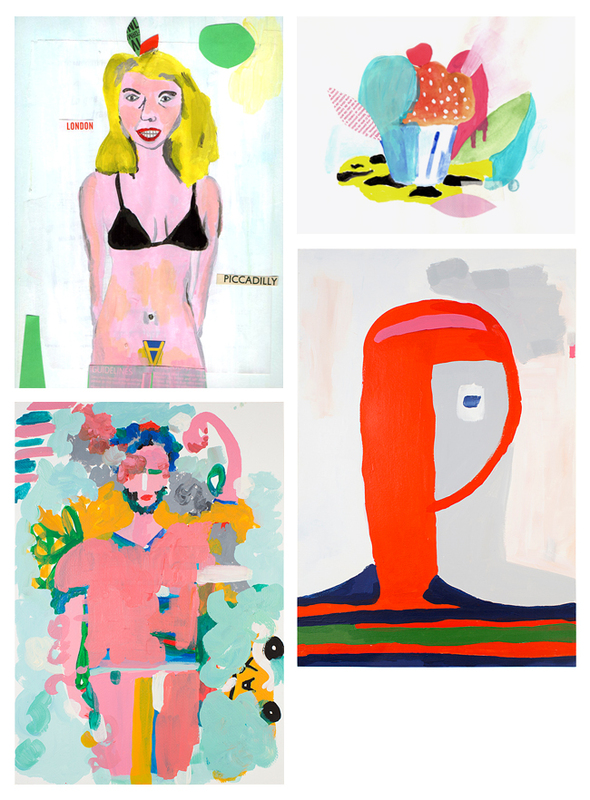 This work is about relationships you get through meeting people on the internet. Many people is looking for a true lasting relation on the internet, many social networks like Tinder and Happn are for that use. This was an article from Anfibia magazine. I incorporated painting and then mixed with collage, I really like what I got. 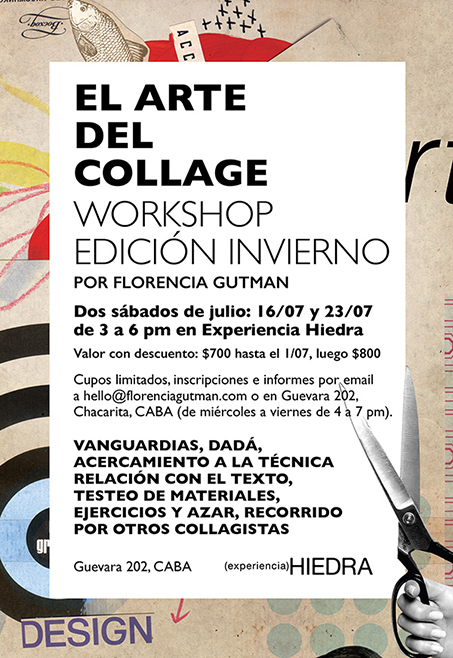 You are invited to watch the new video about the work in the collage workshops I am giving at Hiedra Experience Gallery. 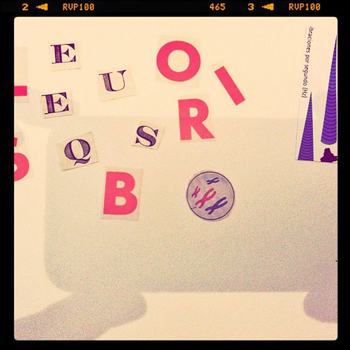 The photography and video was made by Laura Carvalho. I will be giving a new workshop in Octobre, Saturdays 8 and 15 from 3 pm to 6 pm, in Buenos Aires. 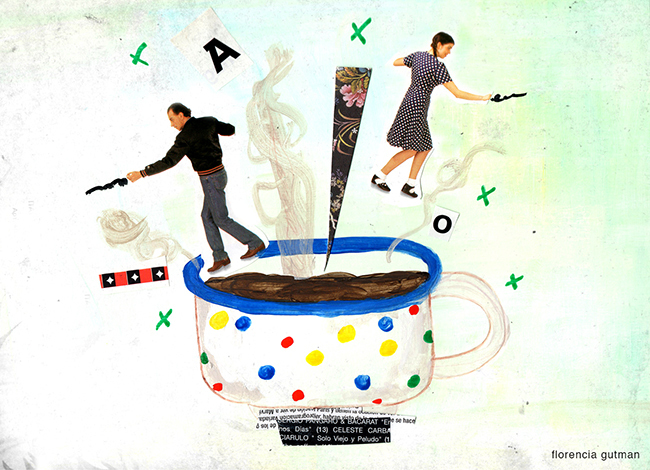 Meet my work at The Association of Illustrators from UK. 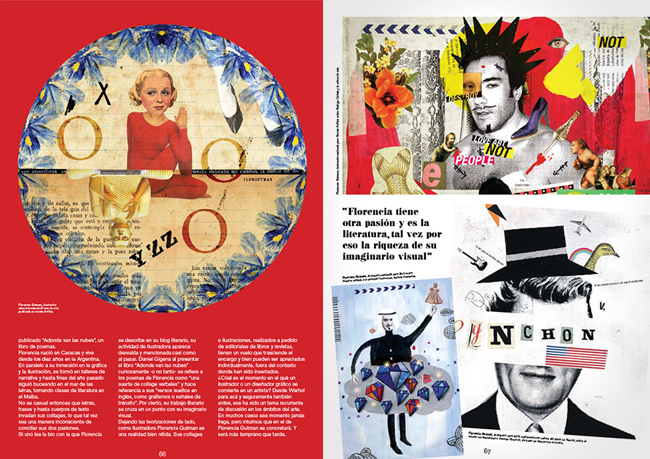 There is an article about my work as a collagist in the last issue of ArtDemocracy—an exquisite quality magazine mainly devoted to art and design, and targeted to specialists as well as the general public. 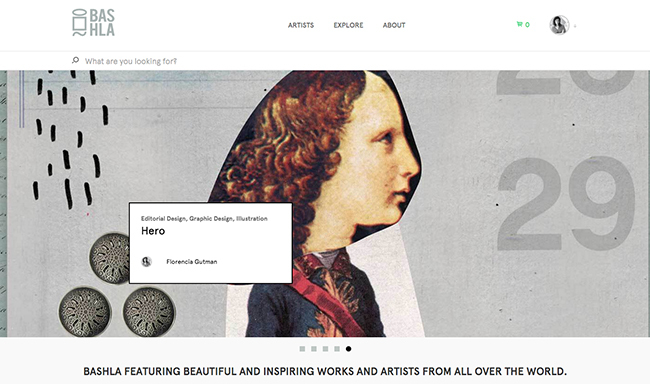 I am very happy for a wonderful review of my work that introduces me to a wider audience. You are invited to read the article and enjoy the pictures. Please contact the Yenny bookstores for a copy of the magazine. 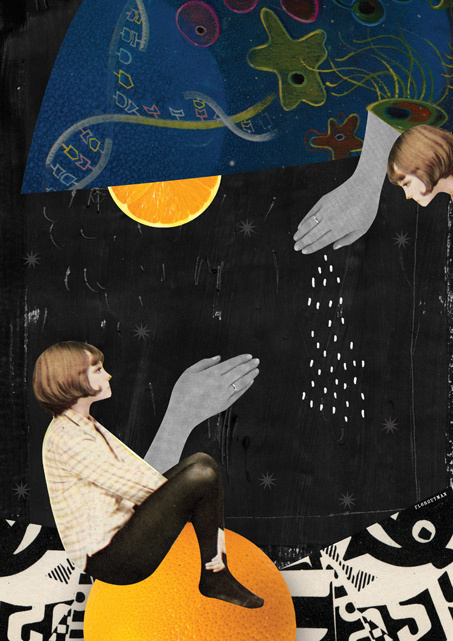 “While her name is still to emerge from the circle of publishers and illustrators, her collages have the kind of character to eventually bring her into the spotlight of a wider audience. 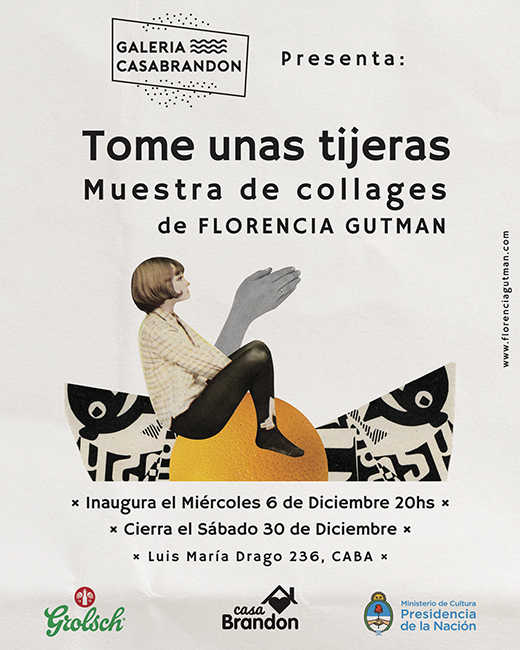 Florencia Gutman, the up-and-coming girl. 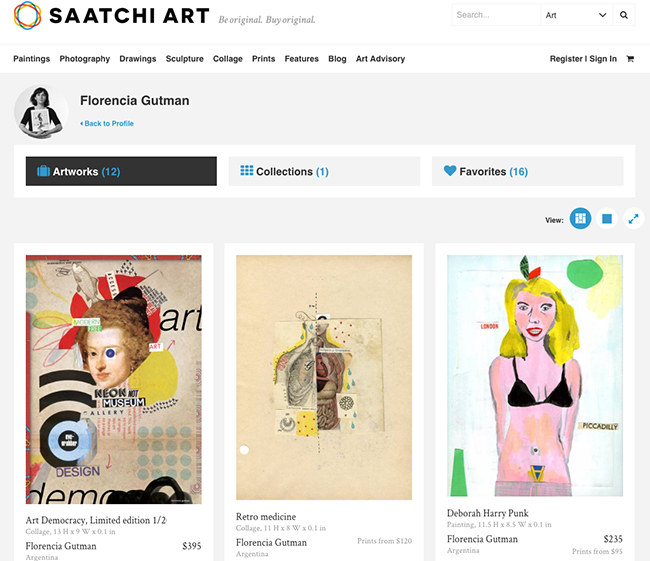 Chances are that if Hannah Höch —a reference for the Berlin Dada movement and a forerunner of photomontage—was alive, she would very likely notice the work of illustrator Florencia Gutman. 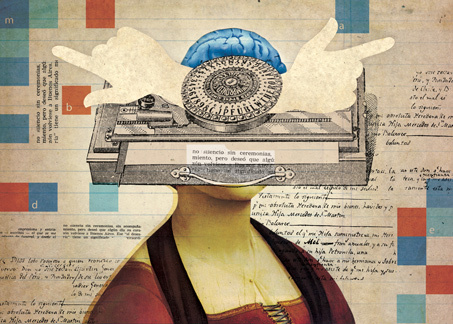 And it’s not her technique that sets her apart from so many past and present illustrators that use collage as a way of expression. 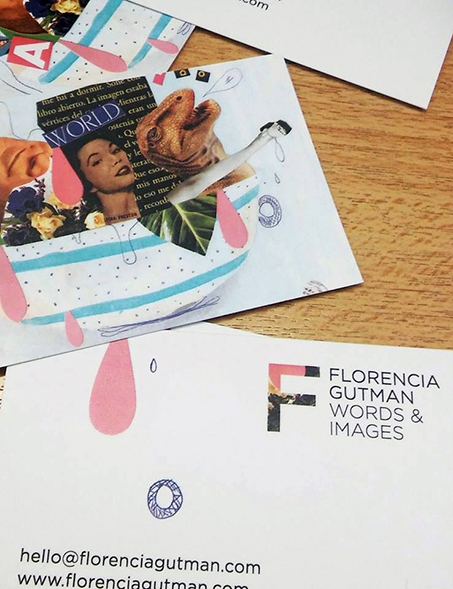 Rather, it’s the visual metaphors so gracefully composed that make Florencia Gutman stand out. Actually, her one other passion is writing and she keeps a blog called “Un ejercicio para toda la vida” (an exercise for life) where she frequently posts her texts. 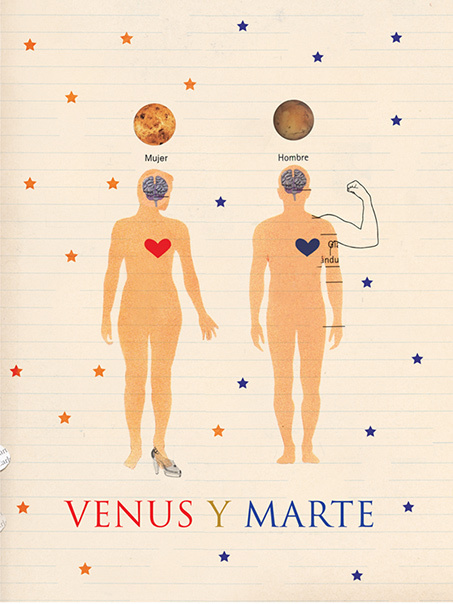 She has also published a poetry book by the name of Adonde van los nubes (where clouds roll in). Florencia was born in Caracas and she has lived in Argentina since she was ten. 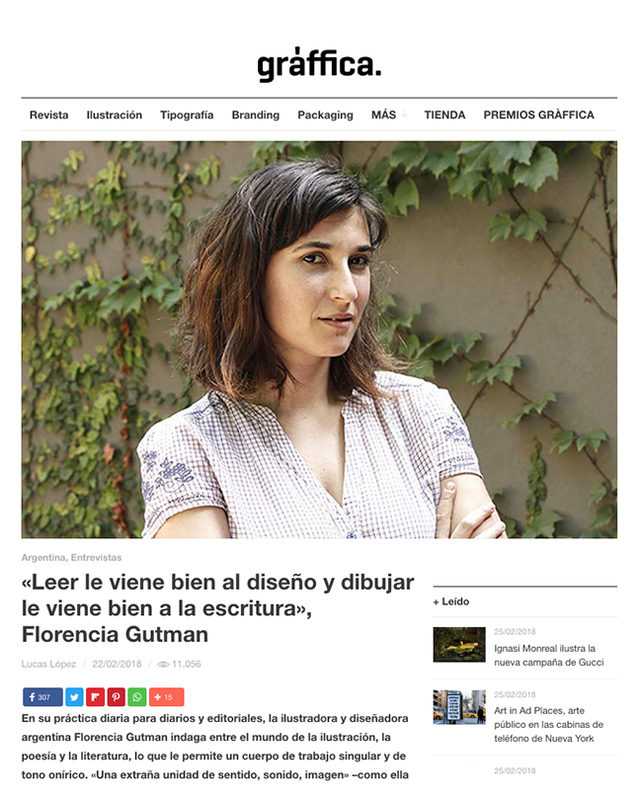 In parallel with her immersion into graphics and illustrations, she trained herself in the craft of writing by taking literary seminars; by the end of last year she was deep-diving in a sea of words, sitting for literature lessons at the MALBA Modern Art Museum of Buenos Aires. 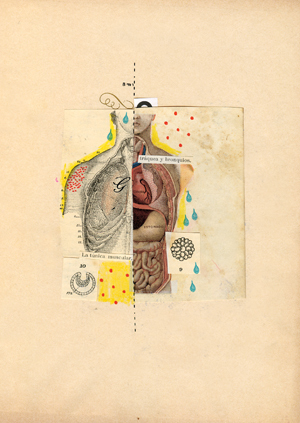 Then it’s small wonder that letters, phrases and even whole chunks of text intrude into her collages, for it could well be an unconscious way of reconciling her two passions. 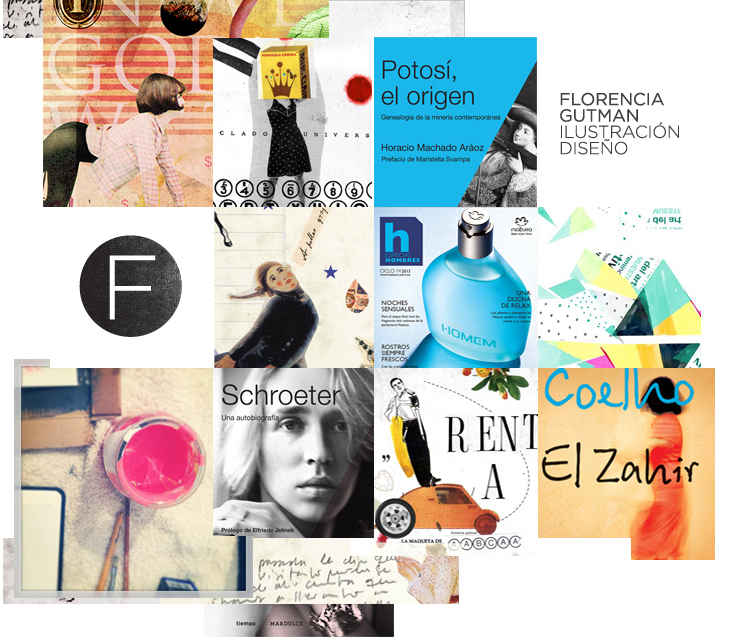 Take the bio Florencia uses to represent herself in her blog —her activity as illustrator appears faded and conveyed as if just in passing. At the launch of her Adonde van las nubes poetry book, Daniel Gigena surprisingly—or not surprisingly at all—referred to Florencia’s poetry as “an assortment of verbal collages” and alluded to her English blank verse “as logotypes or traffic signals.” Indeed, her literary work does eventually converge with her visual imagery. 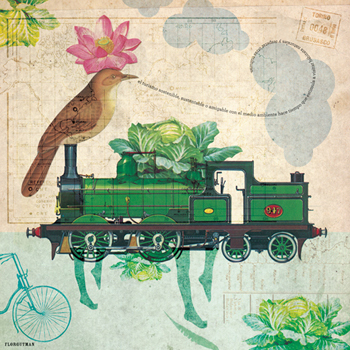 One of my illustration was published in the Creative Pool of Gesatlten web. For spanish magazine The Church of Horrors. 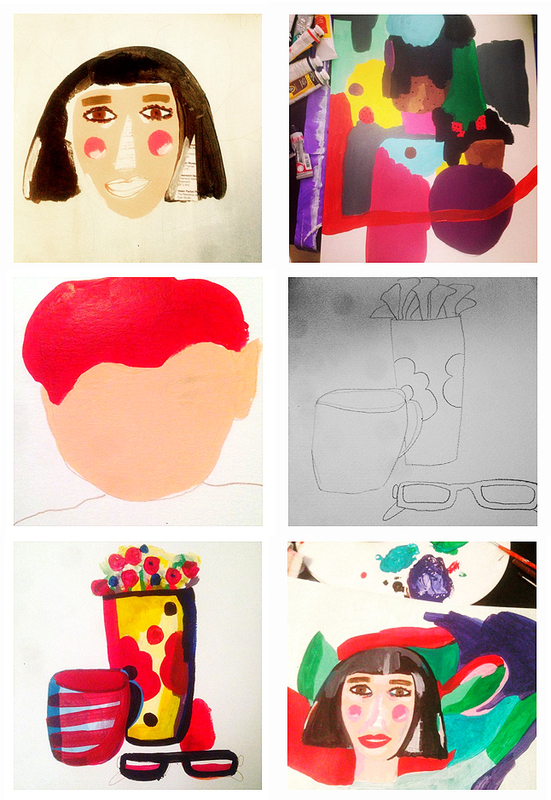 Still working on some paintings and drawings mixed with collages. 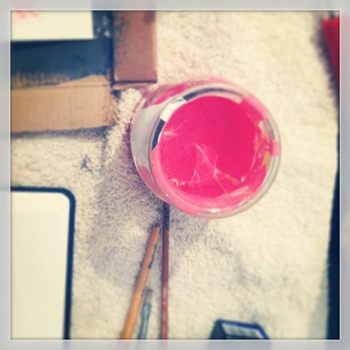 Lately, I’ve been exploring acrylic for painting and collage. 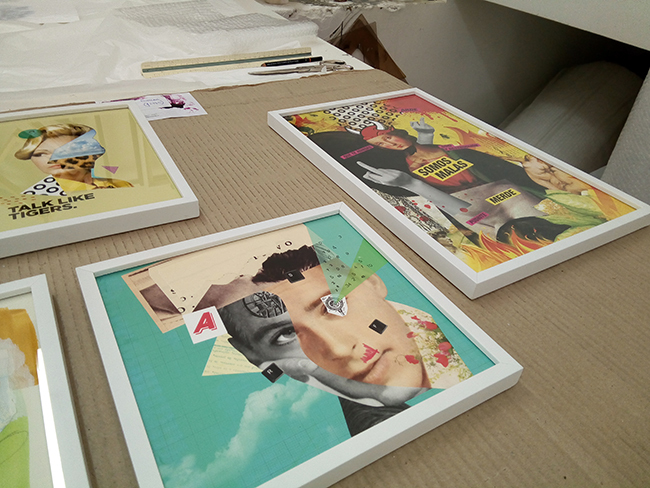 Limited editions of my collage work for sale, printed in Giclée (a special paper for art prints). 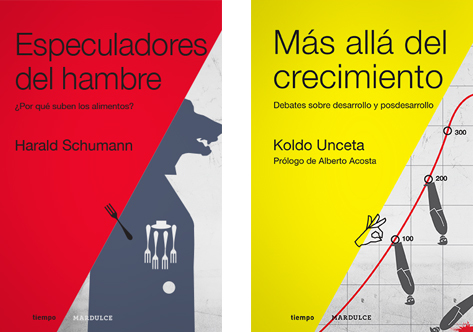 Some of my recent published work. 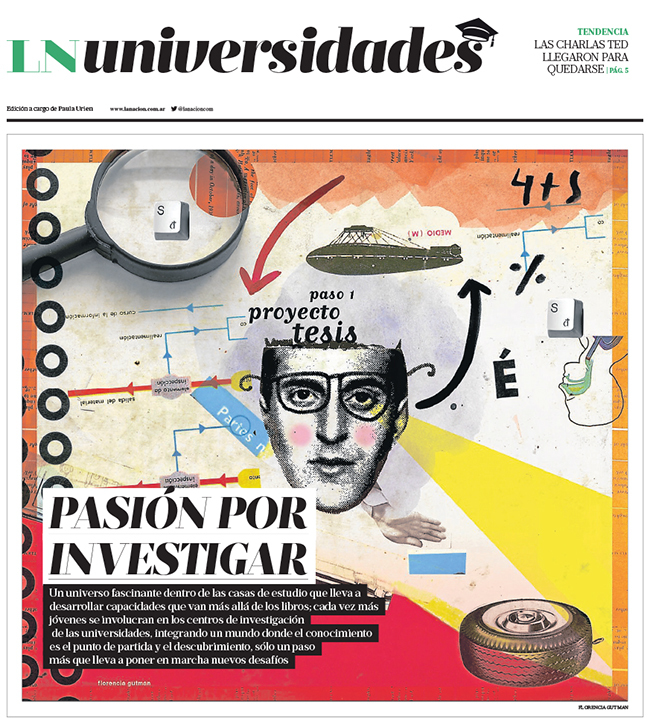 Illustrations for newspaper La Nación. 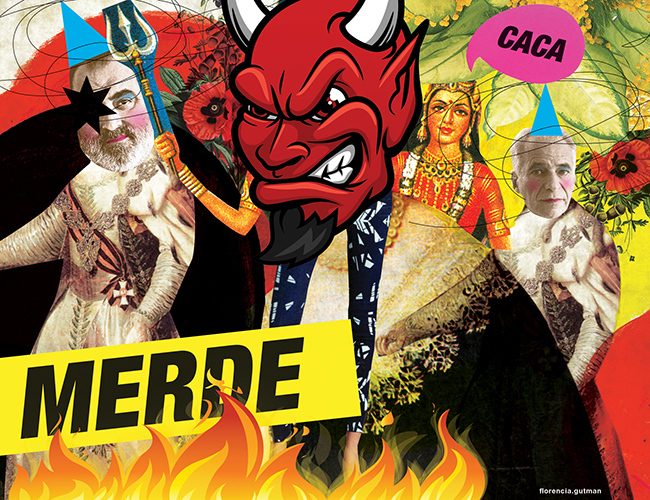 I’m very happy because I have just started to illustrate for a new magazine: The Church of Horrors, a digital magazine from Spain. Here, one of the works and the link. In this case, the text is a fragment of a detective novel. 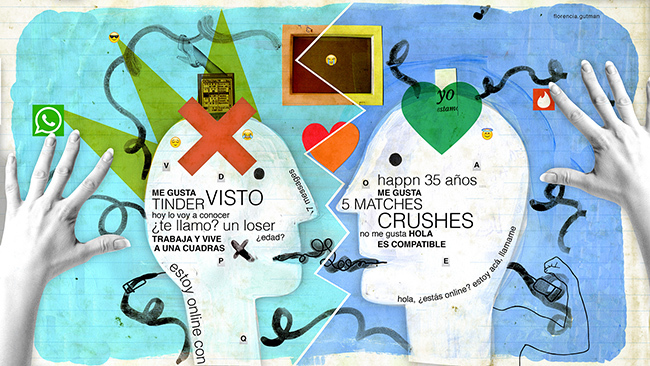 Two of my illustrations were selected at the contest Ilustración Latinoamericana 2013, organized by University of Palermo. 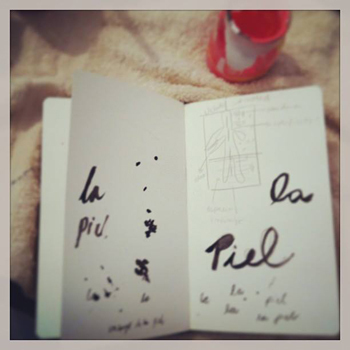 Here a pict of the book and the two pieces selected. I’m happy. Link to an article of the contest. I opened de mailbox and found the beautiful directory of illustrators from Latin American Illustration 2, with all the selected works. I’m very happy to be in this book with other colleagues. Here is the cover and the link to the selected works: link. 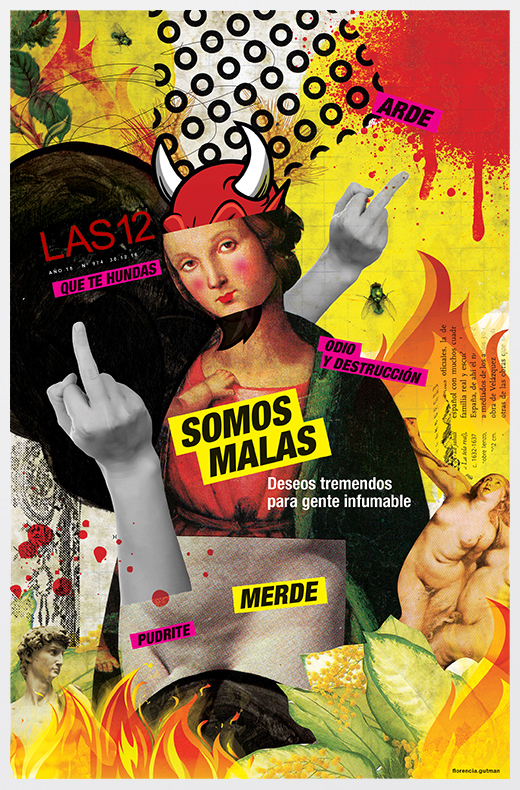 Work selected by Latin American 2. 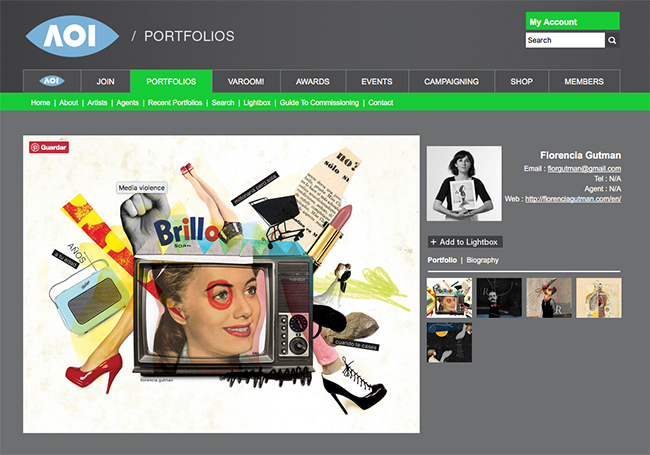 This will be published in a directory of illustrator with the other 29 winners. 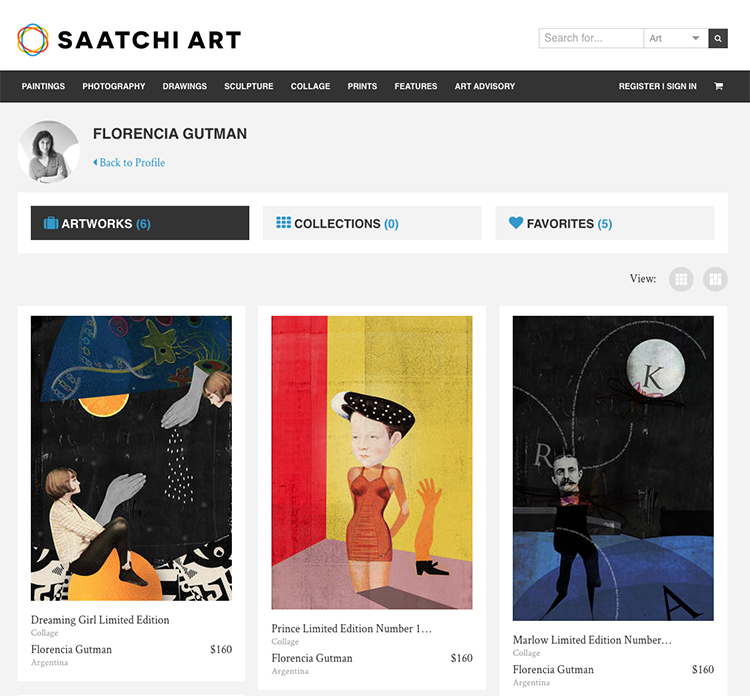 You can check the illustration online in Latin American Illustration web. See illustrations. 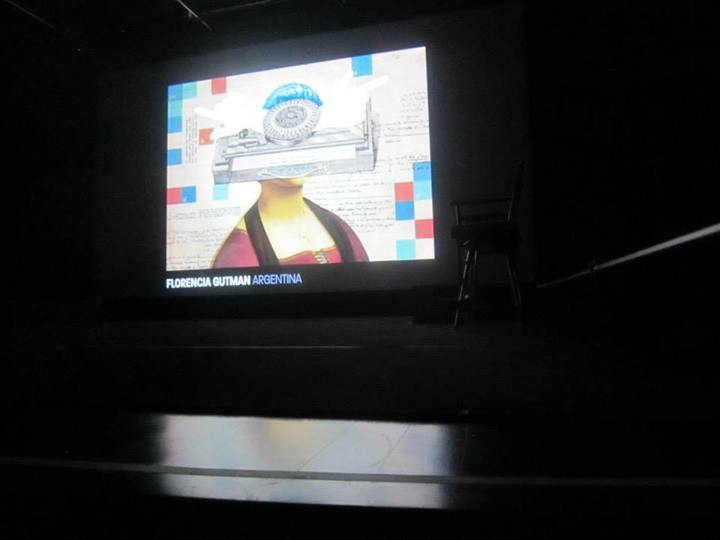 My work was shown at the New York presentation. 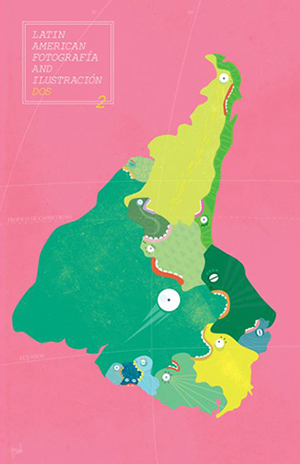 Illustration for Children Book Fair in Buenos Aires. Subject: Latin American poets. 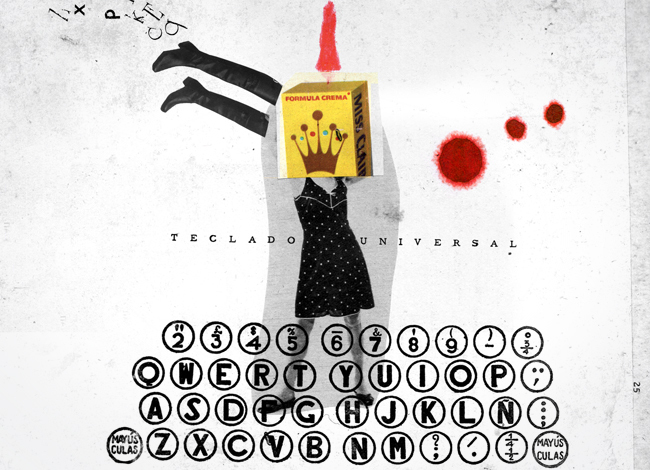 This one is an illustration based on a poem by Velia Bosch (1936), venezuelan poet. The title of the poem is “Diana Lía, the daughter’s dream”. 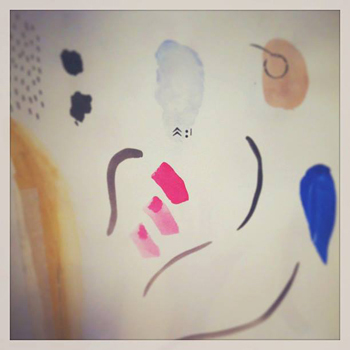 This work was shown at the Book Fair. 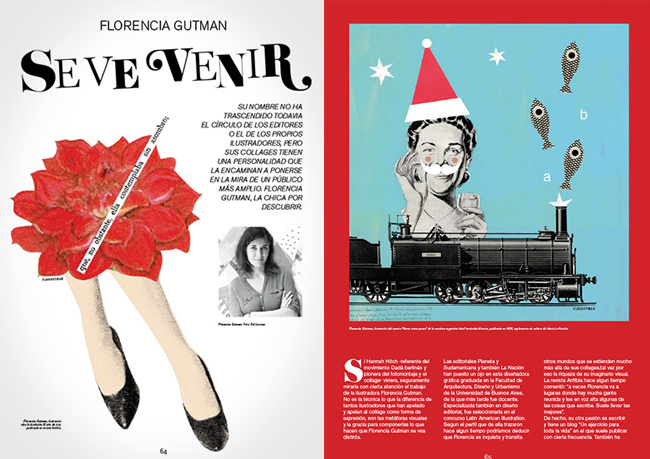 The illustration is online and printed in the catalog of Muestras ilustradas.